WINTER LIVING AT ITS BEST! 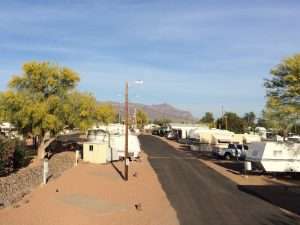 If you seek the southwest lifestyle as an affordable, healthy way to escape the northern winters, then you’ll love Oasis Junction Mobile Home & RV Park. 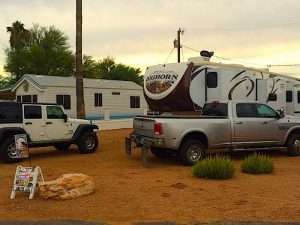 With over 300 days of sunshine, the beauty of the Sonoran desert, a wide range of nearby attractions, local amenities and friendly neighbors, our community is the perfect location to park you RV, 5th Wheel, Travel Trailer or Diesel Pusher for the winter. 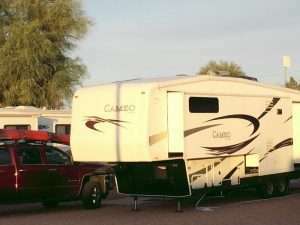 Enter your details on the right for more information about Winter RV Space Rentals or call us today at (480) 310-1113. Just fill in your information below and we will get back to you shortly. We value your privacy. We will not spam you nor share your information without your permission. Looking to relocate during the winter months? Look no further! 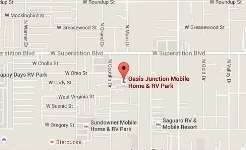 Oasis Junction Mobile Home & RV Park has the perfect winter RV space for you. Known as the “Valley of the Sun” with over 300 days of sunshine and surrounded by the scenic landscape of the Sonoran Desert, this is the perfect place to enjoy the Arizona weather during the winter months. From our park you can see the famous Superstition Mountain and watch the brilliant color changes as the sun passes over and sets to the west. Winter SnowBird Special – Spaces are filling fast! With friendly neighbors, a wonderful environment and the beautiful Sonoran Desert as the backdrop, nothing can beat the Arizona lifestyle that Oasis Junction has to offer. Call us at: (480) 310-1113 and let’s make our park your home.